A small brush, specially designed for cleaning the tip. 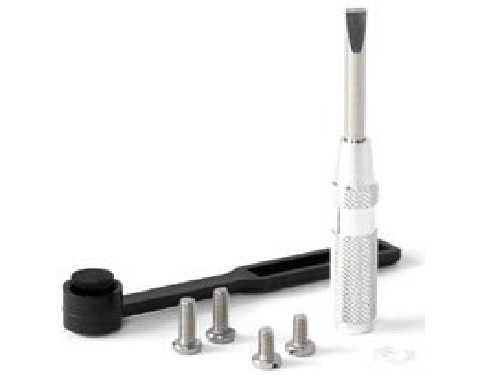 A very precise non-magnetic small screwdriver for cartridge mounting and alignment purposes. Dimensions: Blade / H / W / D = 3.0 / 58.5 / 6.5 / 6.5 mm. A small brush, specially intended for cleaning phono tips. Dimensions: Blade/H/W/D = 3.0 / 58.5 / 6.5 / 6.5 mm.